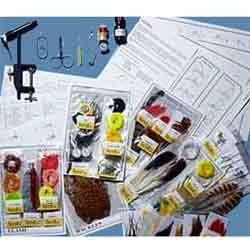 Turrall Popular Fly Tying Kit - this Starter Fly Tying Kit is a proven and popular fly-tying kit with tools. comes in a 253mm x 340mm x 37mm carrying case that has proved to be a universal best seller. The starter kit contains all of the basic items a new fly-tyer would need in order to create traditional fly patterns. 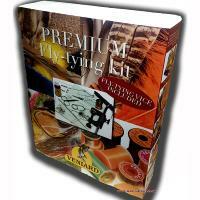 Turrall fly-tying manuals for wings, bodies, hackles and general tying techniques.